Alice Fisher (Anne Shirley) is an intelligent young girl, the daughter of a grocer who spends her days helping out in her father’s store. Alice has dreamed of going to college but thinks it an impossibility, until her father surprises her with the news that he’s saved up $1,000 for her tuition and has already submitted her application. Alice arrives on campus a week before classes begin, during sorority “rush week.” Instead of heading to an invitation-only sorority house, she makes her way to Mrs. Dawson’s boarding house, where she rooms with sophomore Dorothy Spencer (Barbara Read) and fellow freshman Merle Scott (Adele Pearce). Dorothy is very anti-sorority, critical of their exclusivity. She says they’re only for pretty girls, or for girls with rich families. Merle, on the other hand, is sorority-obsessed and jumping at the chance to be asked into the Gamma ranks. 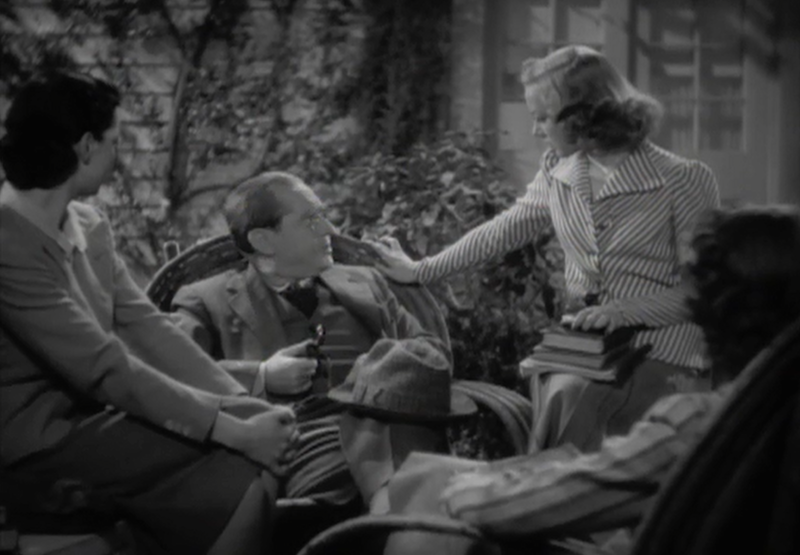 If you’ve ever wondered where all of those sorority stereotypes of coordinated pink outfits, “M-R-S” degrees, and pillow fights originated, turn not to 1939’s Sorority House. I caught this film on WatchTCM after it aired in September. Adapted for the screen by the famously-blacklisted Dalton Trumbo (from a story by Mary Coyle Chase), Sorority House is an interesting moral exploration of the lives and class lines of college women. The film was directed by John Farrow. The film’s portrayal of sororities is interesting. The women are very sophisticated, very much dedicated to keeping up appearances, and very judgmental. They’re concerned about traditions and luxuries, such as spending freshman family money on the installation of a swimming pool. There is something to be said about the positive aspects of sororities, from companionship to the charity work that some dedicate themselves to, but this film does focus on the negative. It’s told from the perspective of those who are excluded from the “fun” of the sorority world. 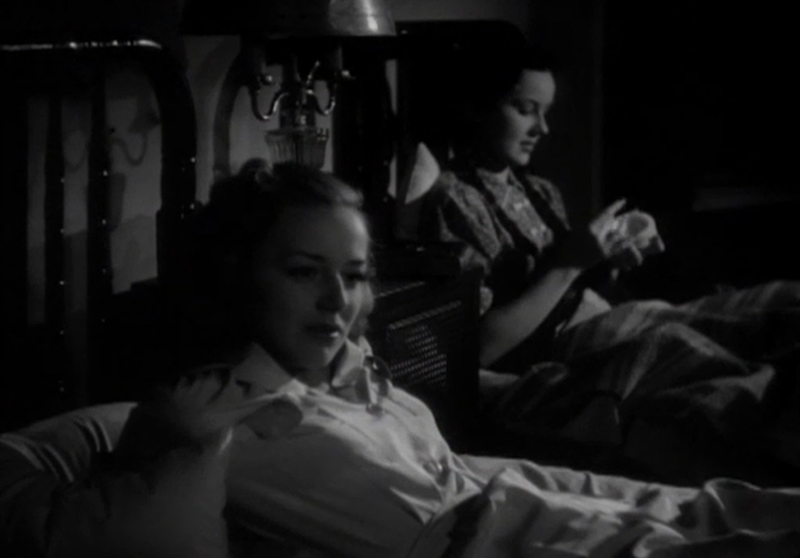 Anne Shirley was a great choice for the leading role in this film. Her Alice is attractive, smart, humble, and sweet. She’s the perfect contrast to the typical sorority girl as portrayed by the film, much more concerned about her education and, y’know, being a good person than living in a home with a swimming pool (though she’s not exactly disinterested in joining up with a sorority). Two years earlier Shirley appeared with Barbara Stanwyck in Stella Dallas — ironically, the role of Stanwyck’s daughter, who begins hanging out with an upper-class crowd and strives desperately to impress them. 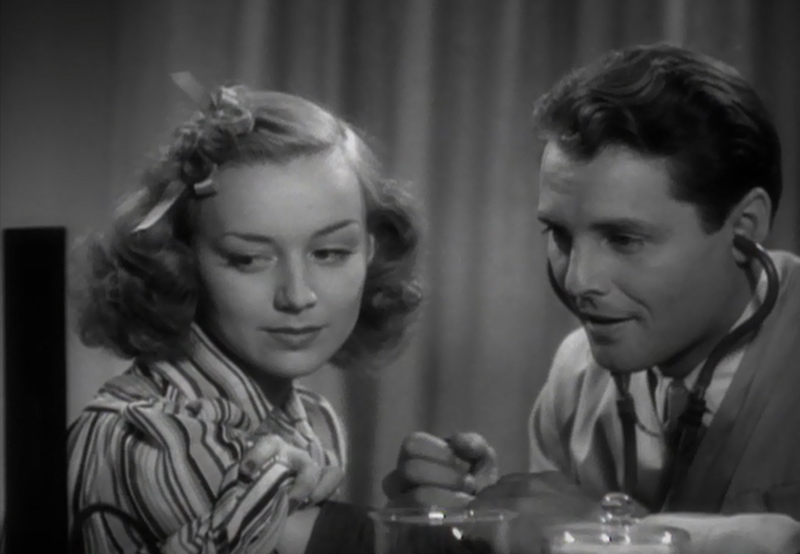 Some sweet romance is incorporated with Shirley’s character. She and James Ellison, her love interest, make a nice pair. They share a meet-cute which involves Alice nearly falling off of a fire escape, and later he checks her blood pressure (which is silly but also pretty stinkin’ adorable).